What is the principal relation that urban typos has with skateboarding? Risada: Marginality, being something outsider. Skateboarding is aggressive to those that don’t skate. Although graffiti is something that the society is looking with different eyes, it is still a problem to some. Pixo is like skateboarding. They rather see a colored draw on the wall than a name on it, black and white. Pixo Tosco: to me, what is equal is the main public: the youth. Skaters and urban artists started they stuff when they were young. Ok, you continue doing that same stuff when you are older too, but you’ve started younger, that’s the point. 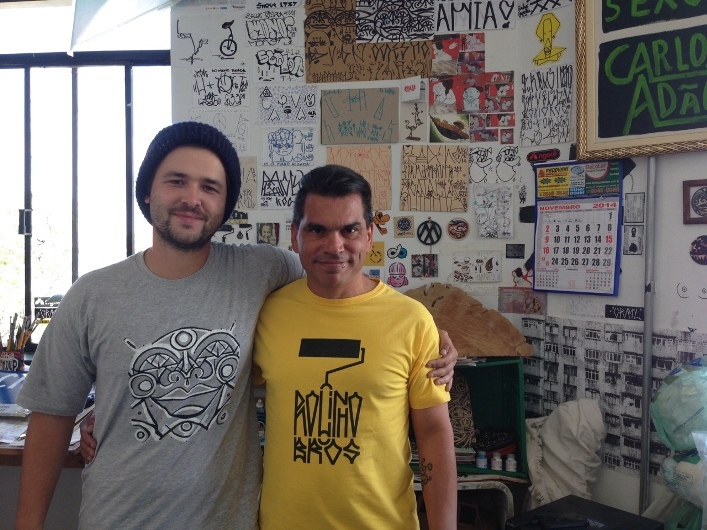 Skateboarding and pixação are the opening gates for art. These two groups look to the city different than the rest. Skaters try to find places where they can skate and the “pixador” looks to places where he can put his name on it, you know? They also are always thinking about what and where someone else did something. It’s a constant work, observing and remembering. Urban arts are more accepted these days or is it still vandal? Pixo Tosco: Its marginal because the majority of pixadores and graffiti artists are unliked by the police and by the citizens. There is an acceptance when people outside these two universes start to use it as a reference, so you start to see in some other places like logos, watches, marketing propagandas. When graffiti artists say good things about pixo it is a groundbreaking thing too. People need to stop the hate on pixo and begin to watch for the quality of the typos, in its originality! Risada: Pixação is performatic. Them dudes are always planning, schemming, they jump from places to places, at night... There is a hole scene! Risada: “Gringos” come everytime to study this, they make docs and books about it but here in Brazil we don’t have that acceptance. So everybody is using pixo as an refference. Pixo Tosco: Yeah, and it doesnt stop. 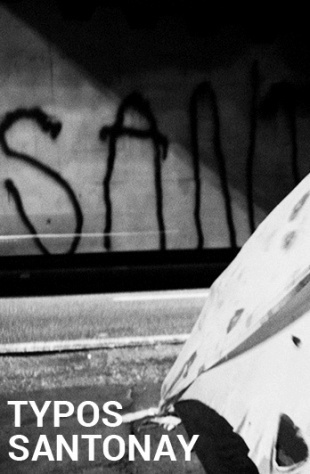 Skateboarding and graffiti are in every propaganda because it attracts the young audience. They both are youth representations. Graffiti is and pixo is waiting to be too. Society relates everything and art too, they are always relating to these kind of urban art. But is this good or bad? It doesn’t take a bit of the soul of it? Pixo Tosco: No because it’s all reinterpretation. It’s not possible not get influenced by the city you live! Risada: Everybody got to eat, right? The artist starts from zero, as a hobby and then it becomes his life. Of course it will appear major Jobs for big companies but you need to know whats up with the projects you are involved with. Don’t sell yourself! Pixo Tosco: Yeah, this is important for your own stuff, you know? It’s important that you do something with your face on it, not doing something that is not you. But if you do something that is your stuff… Like Espeto that did an amazing job for Coca-Cola at Brazil’s World Cup last year, it was his characters, his way, his stuff! But the coolest thing is still doing the raw stuff right? Pixo Tosco: Yeah, that is the time where you experience new things. Risada: There is the forbidden sensation, an adrenalin in it. Pixo Tosco: And being busted! Risada: All that stuff money cant buy. Sometimes you go out and do something legal, authorized but on the way back home you do an art illegally. You need it! How do you relate with autority? Risada: I have a telpathical block with autority. I send a mind vibration and almost every time I can block them. But sometimes, things get real dirty! Pixo Tosco: Sometimes you can get off by talking to the cops. That helps. Do your stuff in public places helps too beacuse that places dont have na owner calling the cops. Also doing it in dirty and lost places. Of course, those things are not sure, if the cops are willing to take you, they take and no one can help you. But the main tip is by doing it fast and walk away. Risada: Study the place first! See what’s up with it! How do you see your typography be in a commercial concept like TYPOS series? Pixo Tosco: It is great! You guys asked for something that is totally us but a few people recognize it. Our typos, our drawings! It is a hard work and we were happy when Crail asked for it! Actually it was the first time that me and Felipe worked together in the computer for a freelance. We sat down together and created the typos. And what about the sensation that skateboarding brings to the skater and pixação brings to the artists, do you feel that is similar? Risada: If I was Born in the Amazon, for exemple, I would do something related with the nature, I would be still na artist but working with other materials. 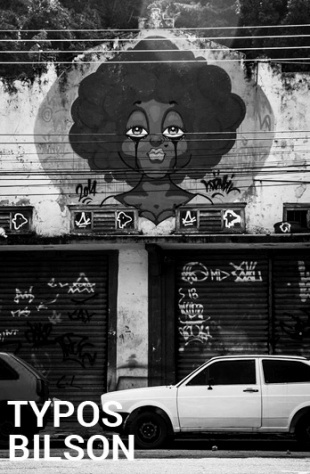 But I was born in São Paulo, I am street artist since I was a little kid. When I was young I’ve already liked all that. It was just the transition to seeing from being. It is São Paulo, man. The Best thing for pixo is the city. Pixo Tosco: I am from Santos and came here because I wanted and I stood because I wanted too. This city is fascinating, very alive! 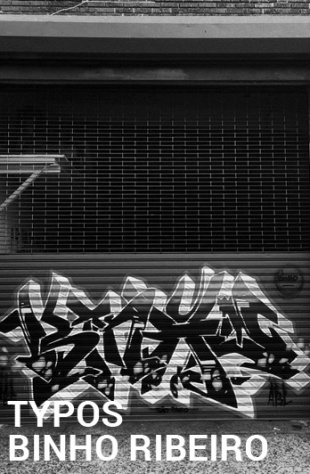 The walls are always in constant change, if you follow graffiti and pixo, it’s a cinema, dude. You look and theres a blank wall. Next day, one pixo. The next one: three! And the next month someone manages to climb everything and put his name on it too!